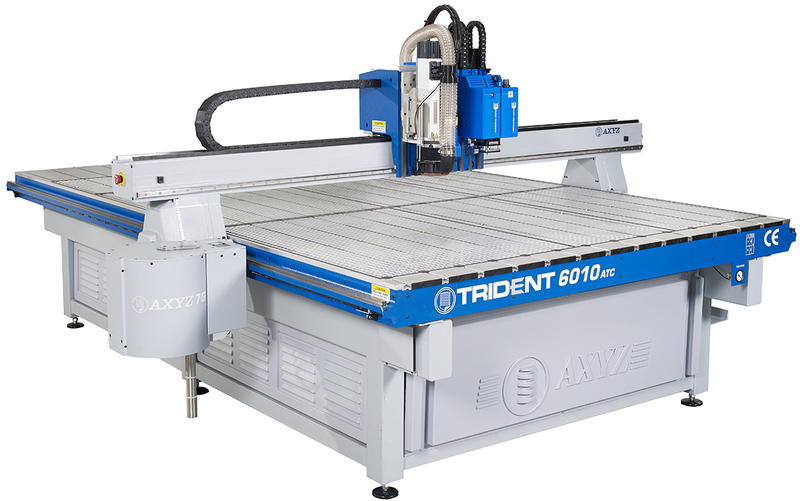 Available with an extensive choice of process areas, a variety of tooling configurations, and the most diverse combination of productivity options in the industry, the AXYZ series is the true definition of a multi-purpose, industrial CNC router. With the most configurable machine base in the industry, the AXYZ series provides maximum flexibility with process widths from 28" to 128" or greater and the option of virtually any length required. Operating at up to 2,000ipm, driven by the latest drive systems and offering a gantry clearance of up to 18”, the AXYZ Series the perfect multi-purpose solution. 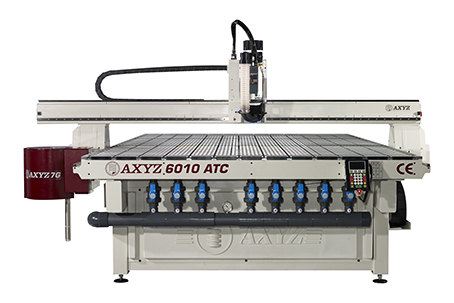 With over 6,000 machines in active service daily, the AXYZ series is popular with signmakers, woodworkers, metal fabricators, plastic fabricators and many more. The AXYZ Series offers manual, quick-release, high-power and high-speed router spindle options, a camera recognition system for precise cutting path alignment and accuracy, aluminum zoned vacuum beds and an automatic tool length sensor and changer. 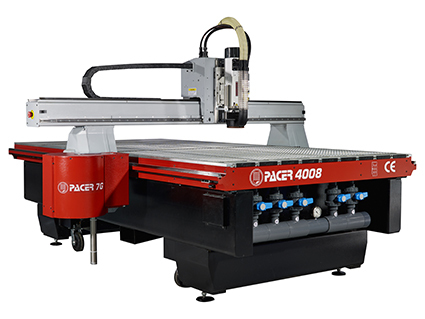 There is a growing trend with sign shops investing in laser machining systems. The technology uses high-intensity beams of varying widths for a variety of purposes, including the slotting and cutting of plastics, vinyl and mild steel. Last year, when Sarah Toupin decided to go into business for herself in Kingston, Ont., she wanted to find a niche opportunity that would let her use her existing skill set. One of the advantages of finishing machines is they can be quite versatile, cutting, creasing, milling (routing) and cutting v-notches into a wide variety of materials, such as corrugated boards, folding cartons, solid boards, wood, foamboards and a long list of plastics. Custom Sign & Engineering was recently commissioned to build a special ‘roadside attraction’ sign for Jasper Gift Basket & Popcorn Company, so as to capture the attention of both locals and tourists.